>In Venezuela, a Potential U.S.-Russian Crisis? In Venezuela, a Potential U.S.-Russian Crisis? In December, two supersonic nuclear-capable Russian bombers visited Venezuela, the third such excursion for the warplanes since 2008. Might Moscow intend to pose a threat, perhaps even nuclear, to the Western Hemisphere? If so, how could Washington respond? The Kremlin may have wanted the flight to send a more intimidating message, as Russian news sources have stated. The show of force came just after Venezuela's leftist president Nicolas Maduro met with President Vladimir Putin in Moscow. Russian Defense Minister Sergei Shoigu promised additional aircraft and warship visits to Venezuela during Maduro's trip to Moscow. Each of Russia's roughly 18 Tu-160s can carry up to 24 nuclear- and conventionally armed missiles. In 2015, several Tu-160s flew a flashy 8,000-mile route from Russia around Europe and over the Mediterranean Sea to fire missiles into Syria. 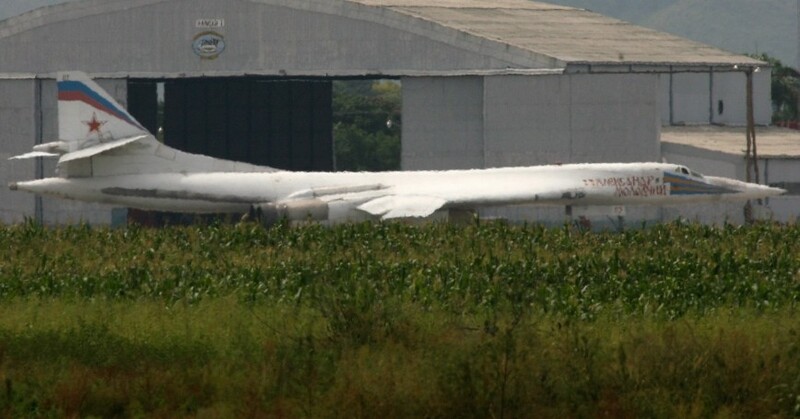 A newer version of the Tu-160 is in the works. Putin's nuclear rhetoric raises further concerns. In 2015, Putin said he was ready to bring nuclear forces into play in the 2014 Crimea operation. Last March he spoke of new, “invincible” nuclear missiles, showing a video graphic of an attack on Florida. On Dec. 20, Putin warned of a rising threat of nuclear war, and a week later oversaw a flight test of a new hypersonic missile. He called it an “excellent” New Year's gift. How might the U.S. respond to any increased Russian military activity in Venezuela? Continued, infrequent combat aircraft or warship visits to Venezuela might not raise anxiety. As an example, in 2008, a Russian guided missile cruiser and anti-submarine warfare ship visited Venezuela. 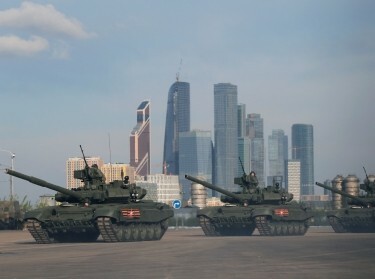 More frequent visits of combat aircraft or warships, or the stationing of large numbers of Russian military personnel, might spur a sharper reaction. Washington could consider mobilizing Latin American pressures, expanding sanctions, limiting imports of Venezuelan oil or boosting U.S. naval presence in the region. Some in Washington might argue that any greater Russian military presence in Venezuela could trigger a tougher response under President James Monroe's proclamation in 1823 that the U.S. would regard as hostile any European attempt to oppress or control a state in the hemisphere. But the meaning today of the Monroe Doctrine is in doubt. In 2013, Secretary of State John Kerry said it had come to an end, but last year (2018) Secretary of State Rex Tillerson said it was “as relevant today” as the day it was written. If any expanded Russian presence in Venezuela were to have a possible nuclear dimension, Washington's response could be stronger. This might happen if there were a near-constant presence in Venezuela of aircraft or warships of a type associated with a nuclear mission, such as long-range bombers or submarines. The appearance of infrastructure, such as command and control systems that in Russia support aircraft or warships associated with a nuclear mission, would also cause great concern. Other examples could be security cordons or storage bunkers akin to those in Russia associated with nuclear weapons. Some in Washington could view any such moves as violating the ban on introducing offensive (meaning nuclear) forces into the region, as stipulated in the Kennedy-Khrushchev Understanding that ended the 1962 Cuban Missile Crisis. Although the understanding did not reference other countries, some in Washington could argue its relevance. Since 1962, Moscow has continued occasional visits to the Western Hemisphere by ships and planes associated with a nuclear mission. But if Russia were to seek to station nuclear forces or infrastructure in the hemisphere, a major diplomatic and military crisis could develop. Russia is increasing its role in impoverished Venezuela by acquiring sizable oil and gold assets in return for cash bailouts. Shoygu's remarks suggest that military ties may also thicken. In case they do, the U.S. might wish to develop contingency policy options. William Courtney is an adjunct senior fellow at the nonprofit, nonpartisan RAND Corporation and was U.S. ambassador to Kazakhstan, Georgia, and a U.S.-Soviet commission to implement the Threshold Test Ban Treaty. This commentary originally appeared on The Hill on January 8, 2019. Commentary gives RAND researchers a platform to convey insights based on their professional expertise and often on their peer-reviewed research and analysis.